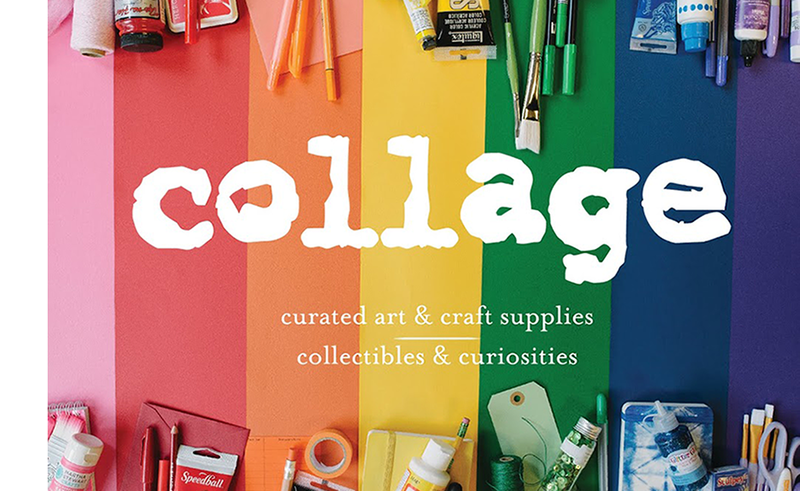 collagepdx: Lia Griffith: book signing and demo, paper flowers, and more! 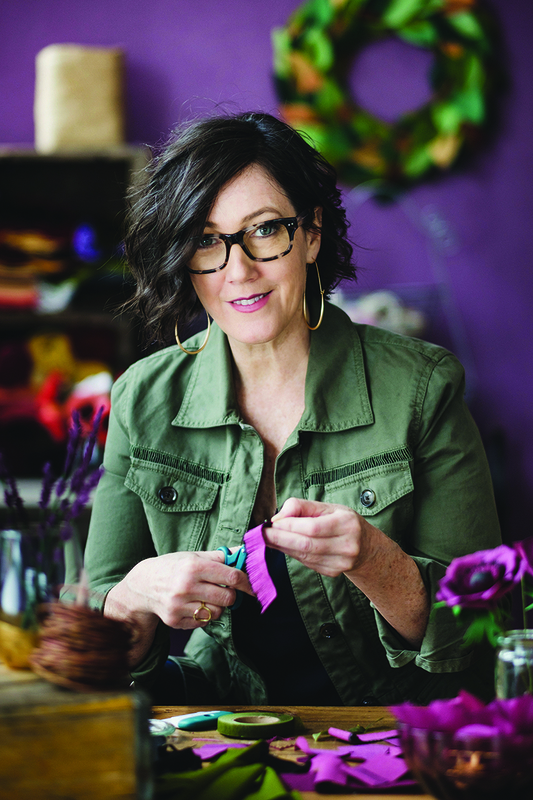 Lia Griffith: book signing and demo, paper flowers, and more! 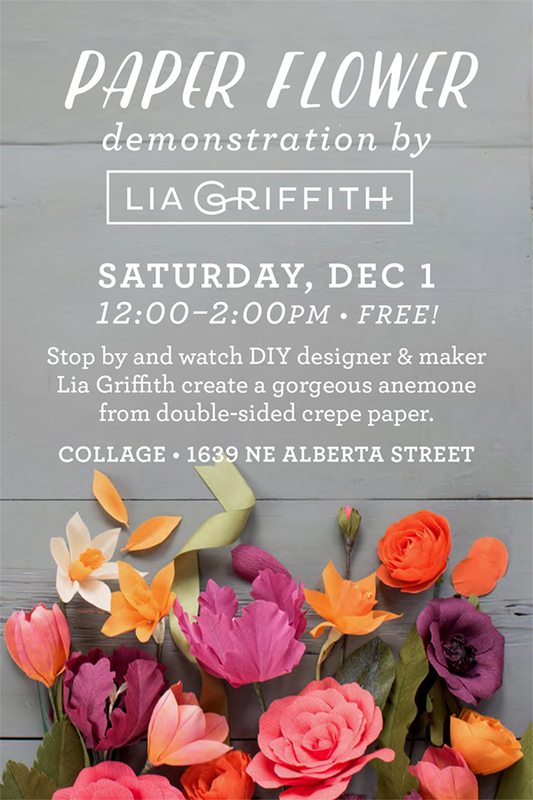 collage is excited to host Portland's own paper flower goddess, Lia Griffith, for a demo this coming Saturday, December 1, from 12-2pm at our Alberta supply store located at 1639 NE Alberta Street. 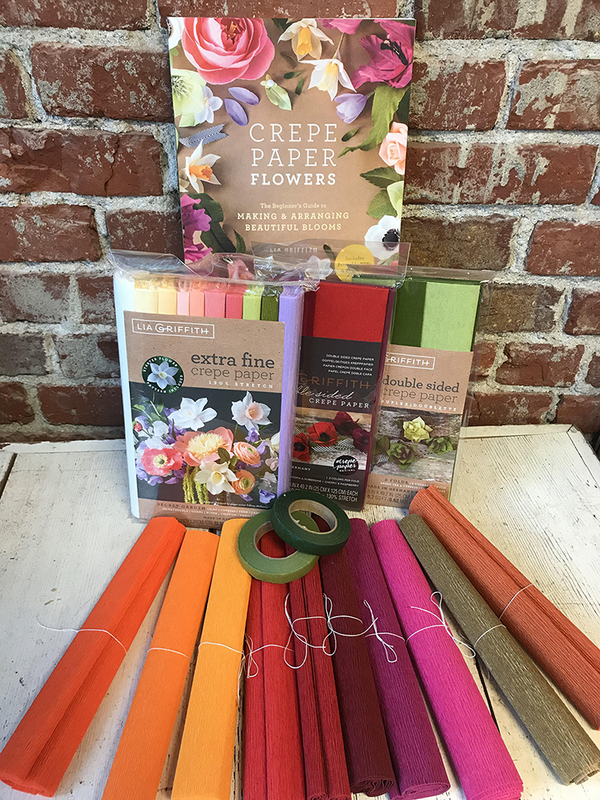 collage is excited to carry an array of Lia's crepe paper as well as her fabulous new crepe paper flowers book. We tried some of the projects from Lia's new book and had a lot of fun! Click on the jump below to see some progress shots. 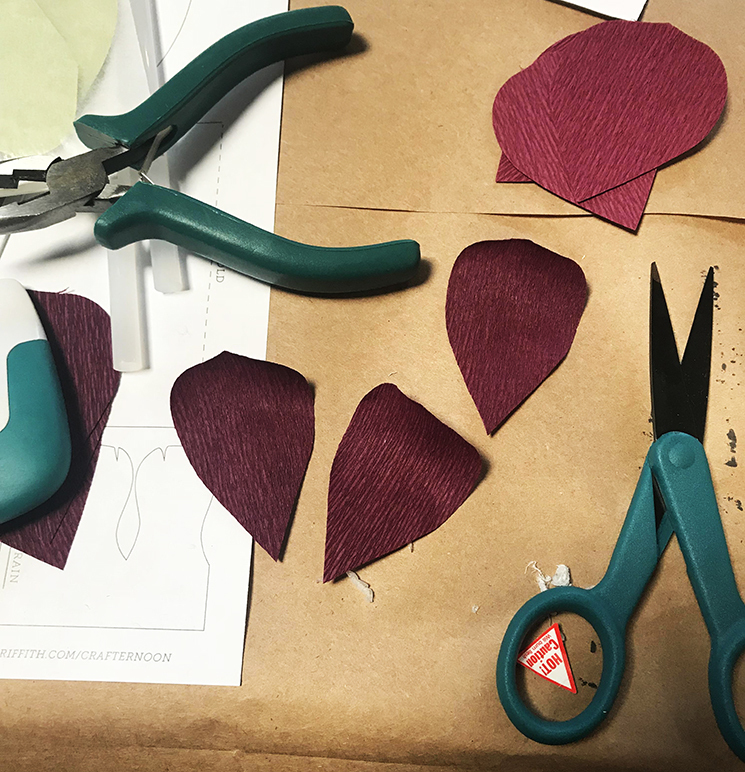 We started by cutting out flower petals with detail scissors. 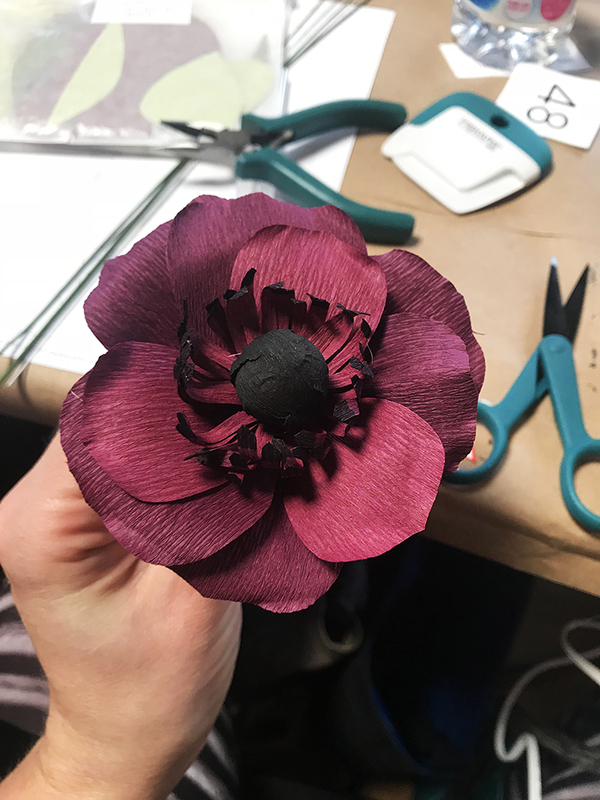 For the anemone, we colored one side black, then we fringe cut a piece to glue around the center. 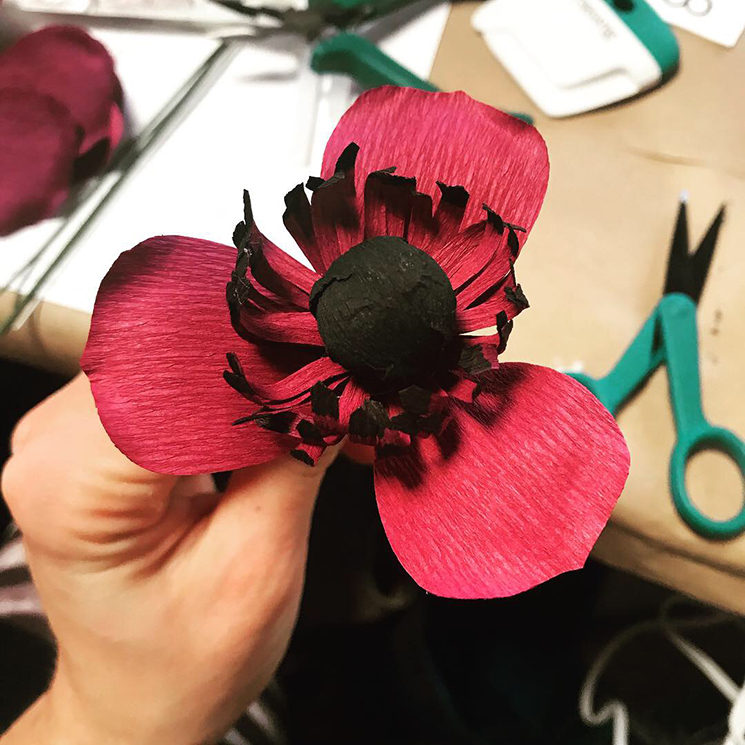 The center of the anemone was a styrofoam ball that we glued crepe paper onto with hot glue. 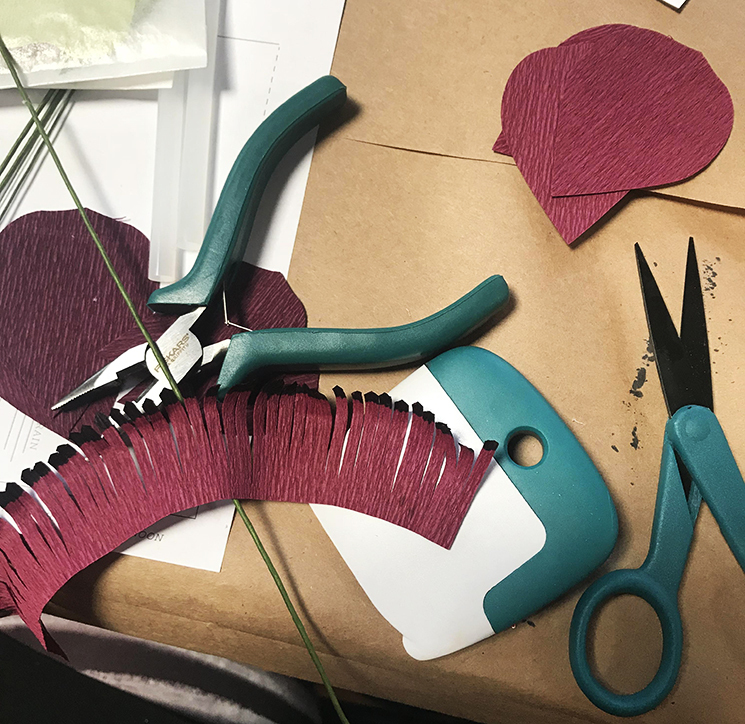 We glued the fringe piece around next, followed by the first three petals. 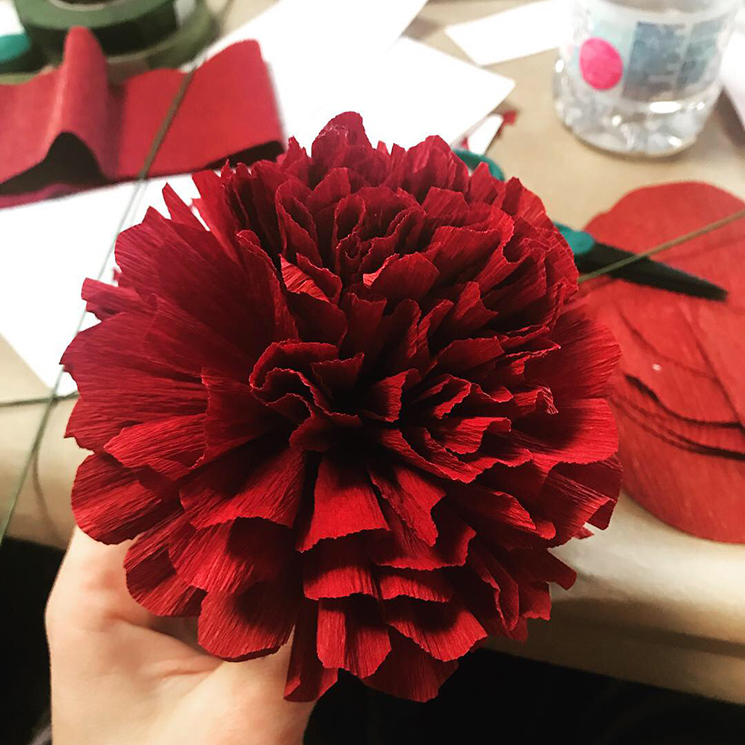 We layered the rest of the petals on the bottom to create an organic masterpiece! We tried the peony next. 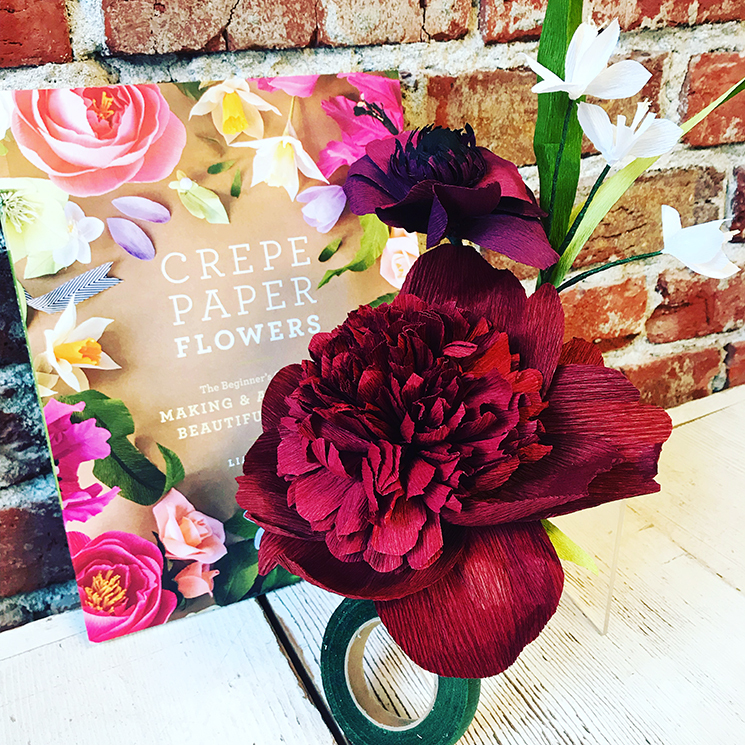 Making the center of this beautiful flower required cutting a long piece of crepe paper with scallops. We cut down on time by folding the paper a few times to cut through several layers at once. We gathered the center piece, and glued it down slowly to a styrofoam ball we had cut and covered with crepe paper. 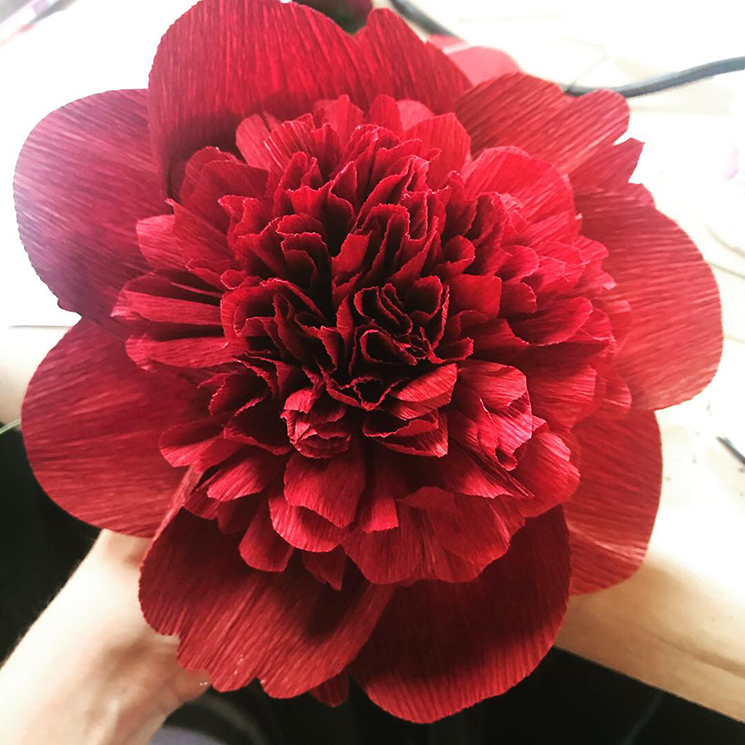 Extra fluffing helped it "bloom"! 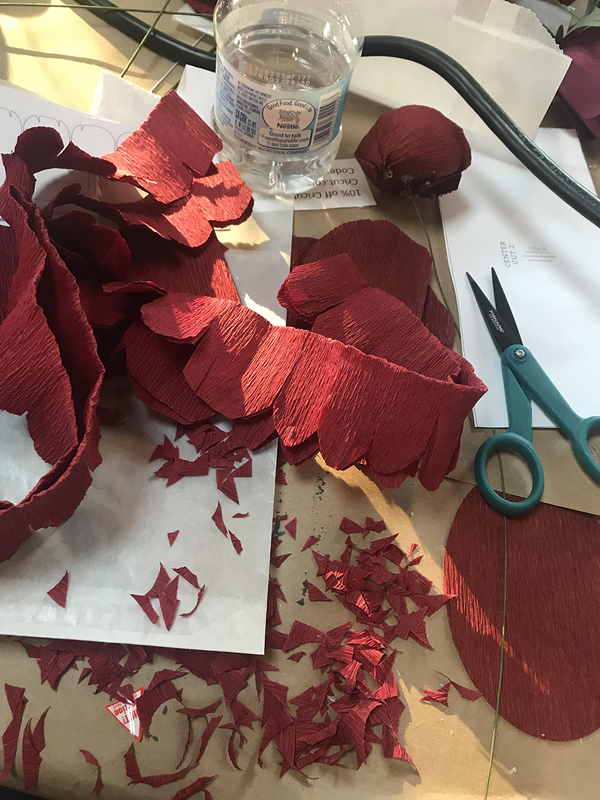 The pre cut petals, which had been individually cut into varying organic shapes, were glued to the bottom to create this lustrous flower.